A long-simmering feud between Gov. Jay Nixon and some black politicians, going back to his days as Missouri’s attorney general, flared up again in Jefferson City this week, fanned by the debate over school transfer legislation. But not all African-American officials are taking sides against the governor. Some, especially in the state House, are urging Nixon to veto the student transfer bill, because they consider its changes in the transfer law harmful to black students. As the wide-ranging bill headed toward final passage, two African-American members of the Senate – Democrats Jamilah Nasheed of St. Louis and Maria Chappelle-Nadal of University City -- told a news conference in the Capitol Wednesday that Nixon’s negative comments about the bill showed a callous attitude toward black students. As attorney general, Nixon worked to bring an end to the long-running voluntary city-county transfer program that is still in effect today. His opposition was based primarily on the cost of the busing. The program has been scaled back as part of a federal court settlement reached in 1999, with the city schools receiving $180 million from the state. But black politicians who had worked in favor of the program have aimed at least part of their dissatisfaction at Nixon. “Kit” Bond, a number of high-profile African-American officeholders refused to support him or kept their backing to a minimum. They often used a chant of “No Way, Jay” to voice their displeasure. Chappelle-Nadal recalled that campaign in the news conference this week, when she was asked by reporter Phill Brooks whether she thought Nixon is a racist. “I think you can only look at the actions to make an assessment on that,” she added. “I can tell you that when he lost the U.S. Senate race, way back when, it was the black community that came out against him. Chappelle-Nadal noted that she was a deseg student, living in St. Louis and attending Clayton schools, and she wants students in underperforming school districts today to have a similar opportunity. She said she began working on changes to the transfer bill shortly after the law was upheld by the Missouri Supreme Court last summer. “I’d like to know where was the governor last summer?” she asked. “Where was his proposal? When did he meet with our caucus? When did he talk to the African-American senators or the St. Louis senators to talk about what his plans were? The truth of the matter is, the governor never had any plans. Nasheed clashed with the governor earlier this year over the issue of tax credits for low-income housing. Nasheed wound up resigning as chairman of the Missouri Legislative Black Caucus after she appeared at a news conference with Lt. Gov. Peter Kinder, a Republican. At the time, reported Jo Mannies, some caucus members -- and Nixon -- were upset that Nasheed allowed Kinder, a Republican long at odds with the governor, to join her at a news conference blasting the governor over tax credits. Debate over the student transfer bill, which the House sent to Nixon Thursday on a vote of 89-66, has been cast in racial terms largely because the two St. Louis County districts affected, Normandy and Riverview Gardens, have enrollments that are primarily black. After lengthy debate in both chambers, the wide-ranging bill covered a number of topics, including charter schools, student retention, parent involvement and more. The one provision that has drawn opposition from Nixon would allow students to transfer from unaccredited schools to non-sectarian private schools, with their tuition coming only from locally raised tax funds, not state money. At a news conference earlier this week, the governor stopped short of saying he would veto the bill if the private option remained in it, but he did urge lawmakers – unsuccessfully, it turned out – to remove that provision. Other black lawmakers agree with Nixon and have urged him to veto the bill because they say it is harmful to black students and does not provide the help that Normandy and Riverview Gardens need. During debate Thursday, state Rep. Karla May, D-St. Louis, made a reference to “Tuskegee,” the infamous experiment where black men were unknowingly injected with syphilis. “The legislature has again failed to fix the problem, and the affected school districts, both accredited and unaccredited, will continue to grapple with the consequences. “Senate Bill 493 does nothing to help students in the Normandy and Riverview Gardens school districts. Instead, the bill is a front for those whose ultimate goal is to privatize local public schools and end public education in Missouri as we know it. 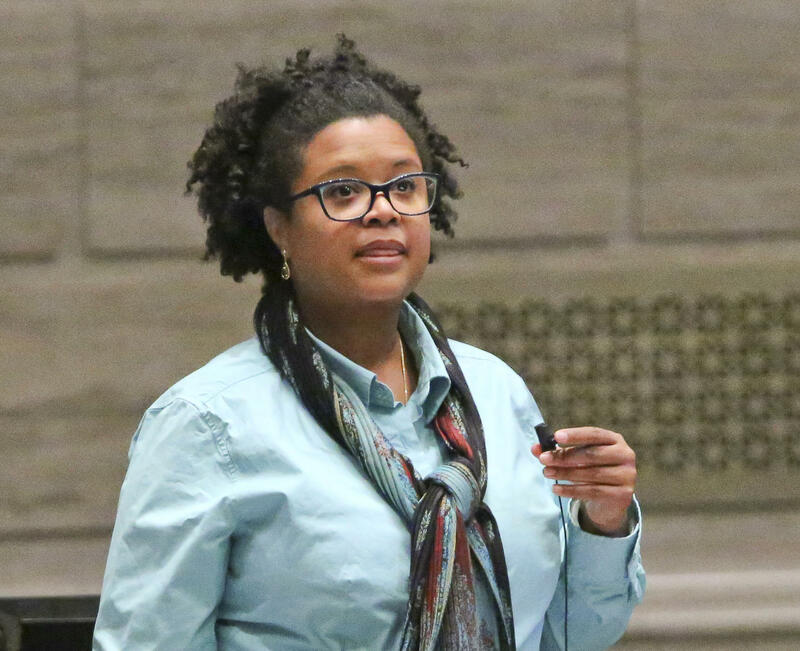 But Chappelle-Nadal said that the private option is just one part of a bill that does a lot of good things for minority students in struggling districts. She called the bill historic and said that Nixon should overlook his objections about one part and sign it. “Are we all satisfied?” she asked. “Absolutely not. There are some things in this bill that I absolutely don’t like. There are things in this bill that rural Republicans will tell you they don’t like. The establishment will tell you there are things in this bill that they don’t like. “This legislation will save the Normandy school district and the Riverview school district from complete collapse. Our governor can be stubborn at times, but on this bill, he should not throw the baby out with the bathwater. 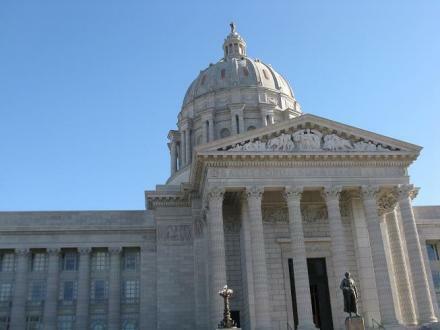 The Missouri Senate has passed the final version of legislation designed to ease the burden of the state's school transfer law. It includes a provision that would end free transportation for transfer students -- a provision that would make it harder for students from failing schools to actually attend other districts. Missouri state Sen. Jamilah Nasheed, D-St. Louis, has unexpectedly resigned as chairman of the Missouri Legislative Black Caucus after touching off some political discord when she appeared at a recent news conference with Lt. Gov. Peter Kinder, a Republican.